Free 24 hour rush service... order today, ships tomorrow !!! Stylish executive design with comfortable ribbed rubber grip, removable cap and white eraser. Luxury Executive Gifts like executive mechanical pencils are very useful products for everybody. Like ball point pens, these pencils are a great way to adverise your brand. These pencils are very sleek and have a perfect metallic finish. They also come with an eraser. These mechanical pencils have a soft rubber grip that will make you want to write more. 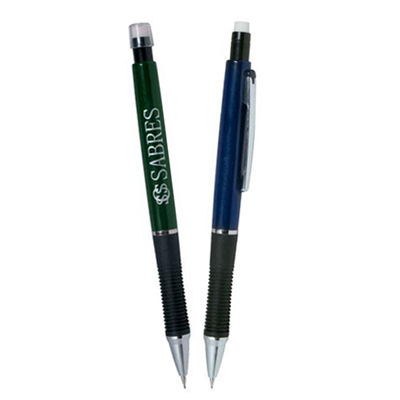 So imprint your brand logo on these executive pencils and flaunt your name in the market. ""I like the rubber grip featured on this pencil. Definitely a good pencil to write with. We gave it away at school. " FREE 24 hour service! Your pencil will always be sharp!